0 80 02 79 08 94 MON-THUR: 9AM - 5PM. Alpha-linolenic acid by Abs derived from a flaxeed oil and it preserves the cardiovascular system and it helps increase athletic performances. Alpha-linolenic acid is the essential omega-3 for athletes ! Made from Flax Seed Oil, alpha-linolenic acid by Abs is an exceptional source of omegas 3-6-9 that only foods can provide to the body. It is the vegetal precursor of other essential fatty acids, such as EPA (eicosapentaenoic acid) and DHA (docosahexaenoic acid), mainly found in fish. Alpha-linolenic acid is therefore an excellent vegan alternative. In addition, it helps to balance cholesterol and prevent the risk of cardiovascular disease. 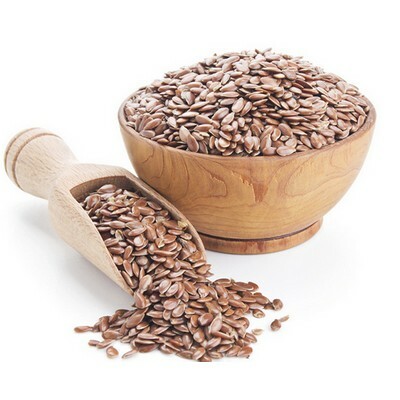 Thanks to its ergogenic effect, the flaxseed oil by Abs, titrated to 50% in alpha-linolenic acid, will help you increase your performance during your training. 4 capsules contain: 4000 mg of flaxseed oil (Linum usitatissimum L.) standardised to contain 50% alpha-linolenic acid (i.e. ALA 2000 mg). Other ingredients: vegetable-based capsule (gelling agent (E407): carrageenan, modified starch, humectant (E422): glycerol). This product does not contain allergens (in accordance with Regulation (EU) No 1169/2011) nor genetically modified organisms. This food supplement is manufactured in accordance with GMPs according to current pharmaceutical standards (GMPs are the Good Manufacturing Practices of the European Pharmaceutical Industry). The active ingredient content is guaranteed through regular analyses that can be viewed online. 4 capsules a day with a glass of water, divided into two doses at mealtimes. The beneficial effect is obtained with a daily intake of 2 g of ALA. Not recommended for women in case of personal or family history breast cancer, neither pregnant or lactating women. Store in a cool dry place away from sunlight. Do not exceed the recommended daily dose. Does not replace a varied and balanced diet and a healthy lifestyle. If you are undergoing medical treatment, seek your therapist’s advice. For adult use only. Keep out of reach of young children. We use own cookies and third party (see policy) to improve your experience. If you continue browsing this site you accept its use.